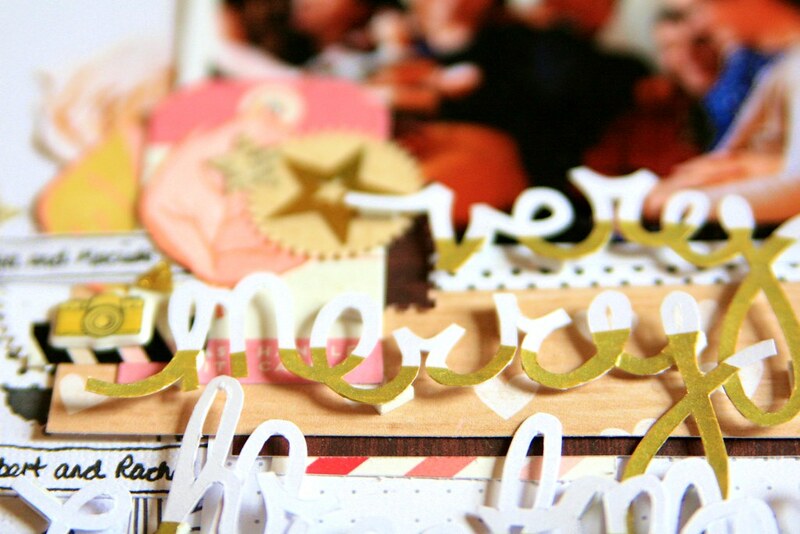 Christmas is a lovely time to scrapbook. Partly because it's nice to be cosy inside, snuggled on the sofa surrounded by craft supplies with something good to watch and a cuppa at my elbow. 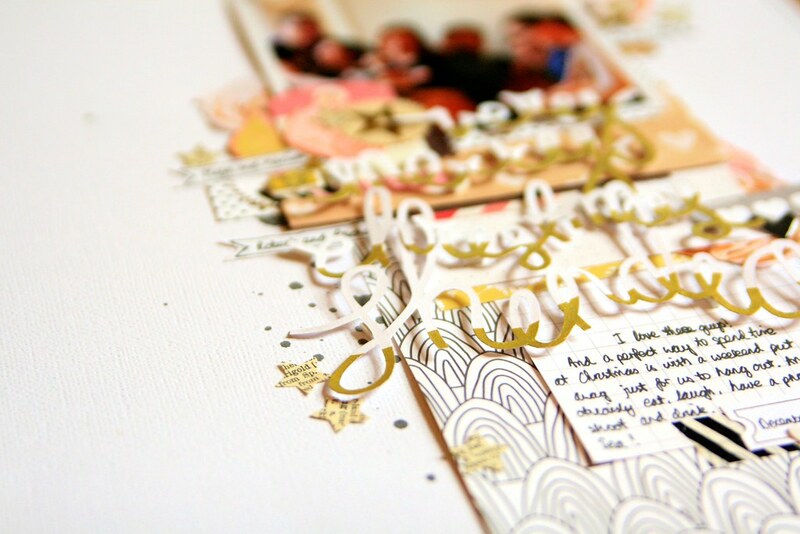 But it's also partly because I like to relive stories from previous years as I scrapbook them, with a little bit of sparkle thrown in for good measure. 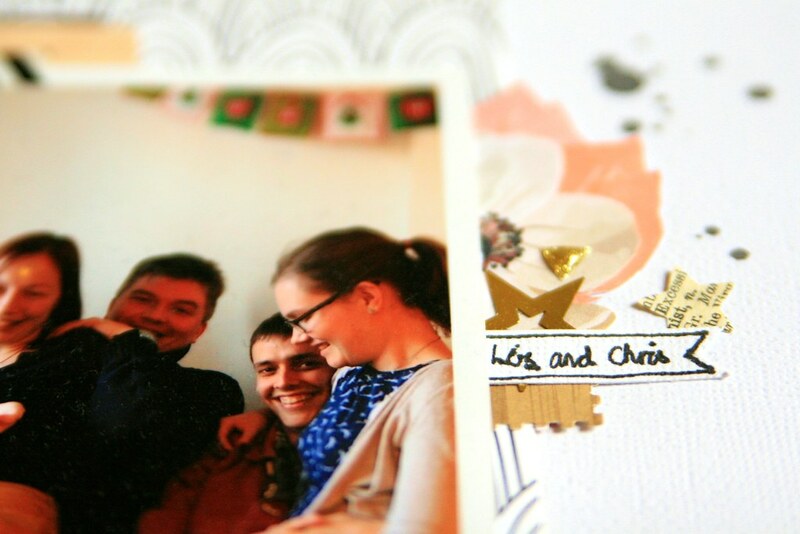 This is a page I made about a lovely Christmassy weekend spent with friends last year. I took lots of photos and it's great to be able to start getting them in my album now (I'll be blogging about the actual weekend later this month). As I have a ton of pictures, I decided to just choose one for this page, and the put the rest in pocket pages. That's a good balance for me, allowing me to have plenty of white space on the page and choose a single print to focus on. With my photo selected, I ended up designing most of this page around the title. I sketched out the words, and then cut myself out a template. 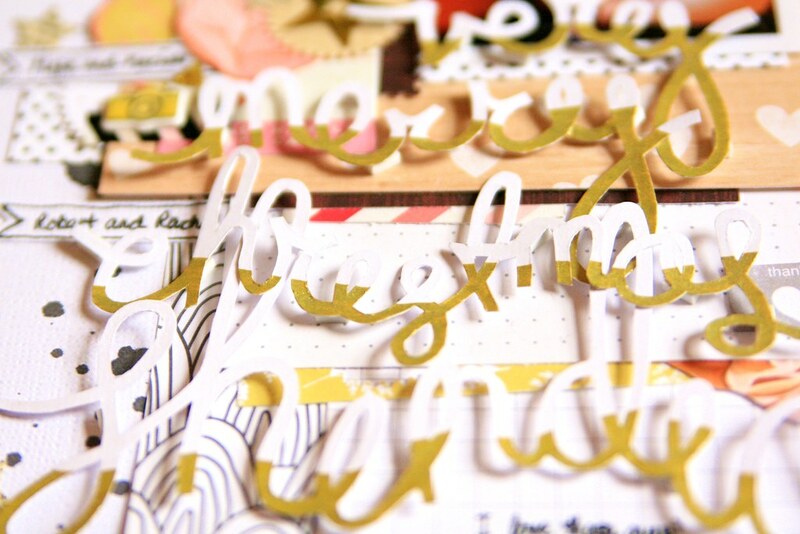 I traced around the templates onto white cardstock and used a craft knife to cut them out. I love the white on white look for titles, and they feature a lot in my pages as I think it makes the titles look delicate and lacy. 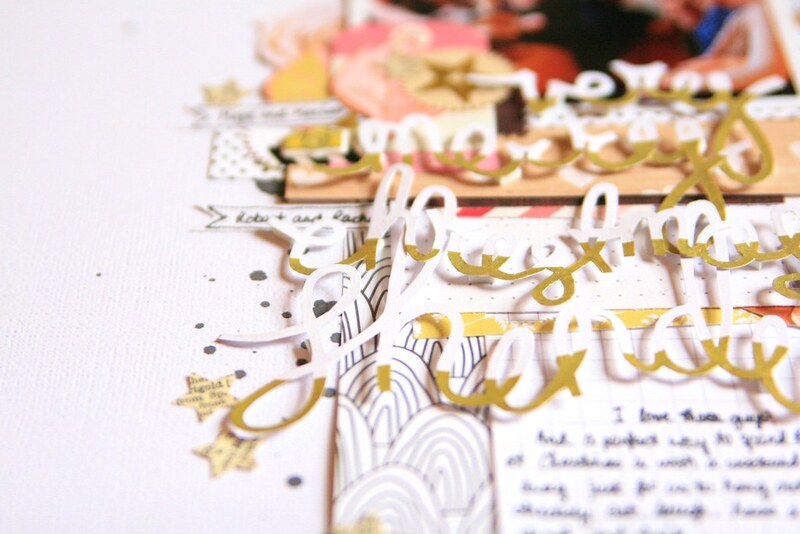 However, as this was a Christmas page, I felt it needed a little something extra, and so I used a gold gel pen to colour the lower half of each letter to create a gold-dipped feel. 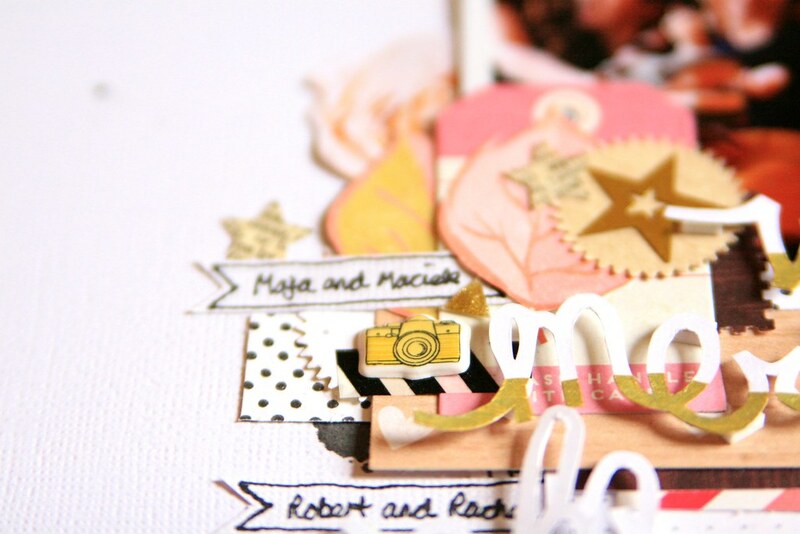 I then started to build up layers around my photo and title, and it was a lovely opportunity to use some new papers from Felicity Jane. (And for any UK readers, they shipped to the UK in less than a week - really great service!) I loved the colour palette and it fit well with my photo. To anchor the whole design, I used a long vertical strip of black and white paper. It's quite a strong statement, but it doesn't add anything more to the colour scheme which I quite like, and black and white is often very striking! A journalling card allowed me to add a little dash of story to the page, although there is more to come and that will fit nicely in a pocket page with the other photos. 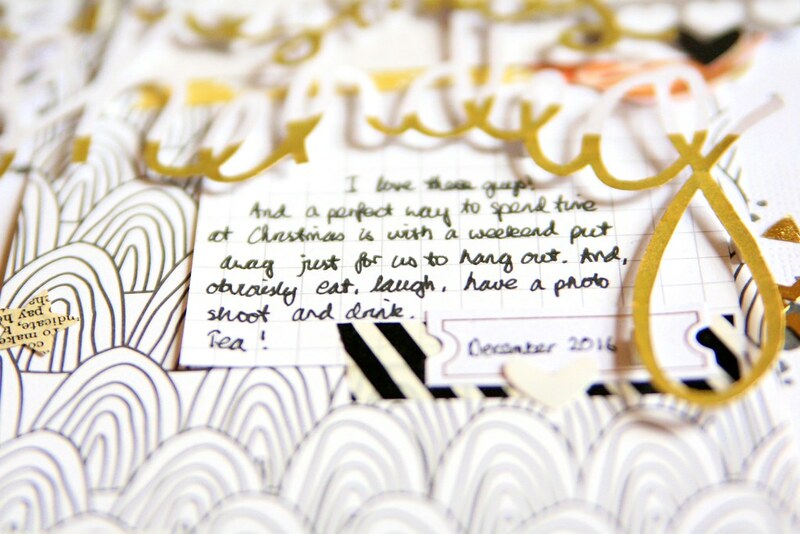 It also added to the black and white accents, linking to the background patterned paper. To finish the page, I framed the design with little details: punched stars and sequins, a little camera, washi tape - black and white to continue a theme - and fussy cut flowers. I punched pinked circles to use as accents and added labels with the names of my friends. 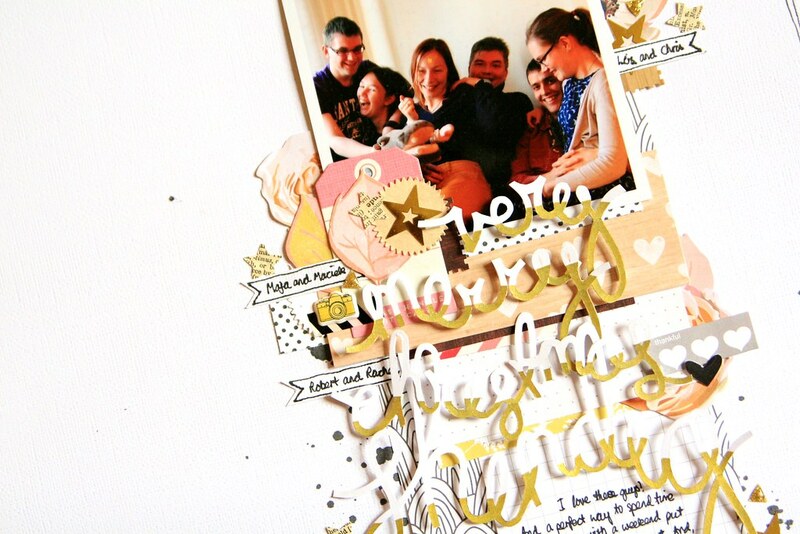 Finally, a little splatter of ink here and there and a hand-drawn border drew everything together. 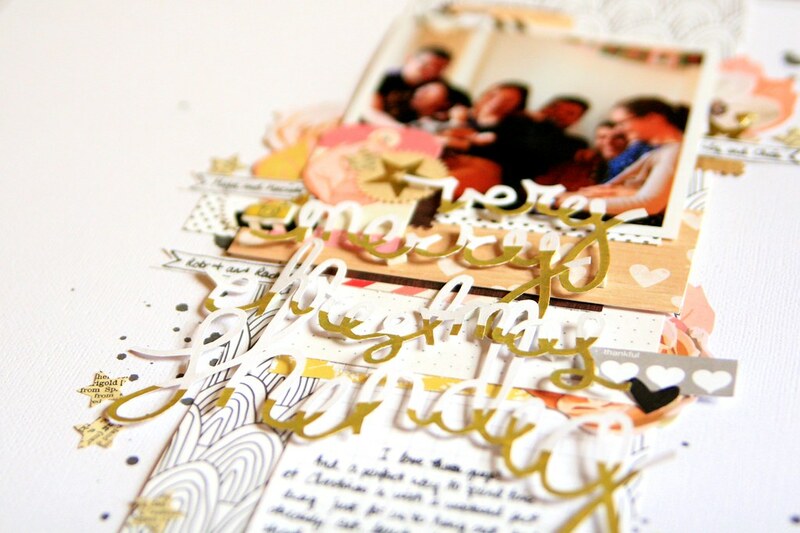 I really enjoyed making this page and thinking back on a lovely Christmas with lovely friends. Here's to similarly lovely adventures this year - in fact this very evening we are having a get-together of cocktails and dinner and I can't wait to have a good catch up. 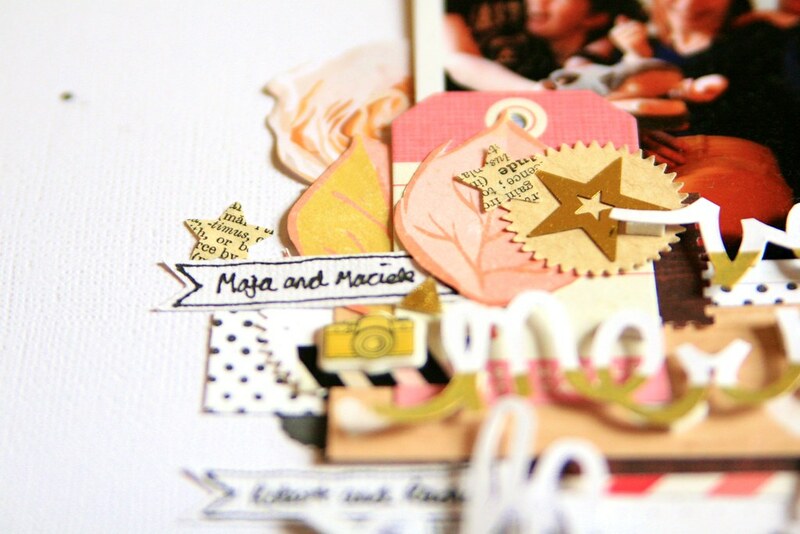 Oh, and here's to some scrapbooking time as well!